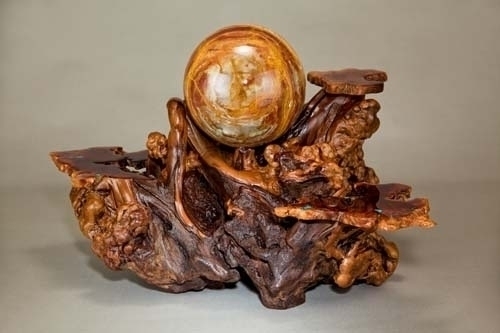 Manzanita Burl Sculpture, with 2.5" Petrified Wood Sphere, mounted on a Mariposite Rock Base.Sculpture has been drilled to accommdate lamp conversion. 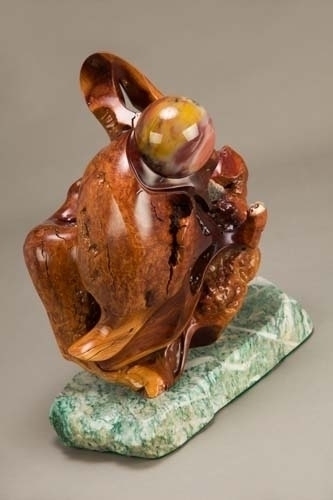 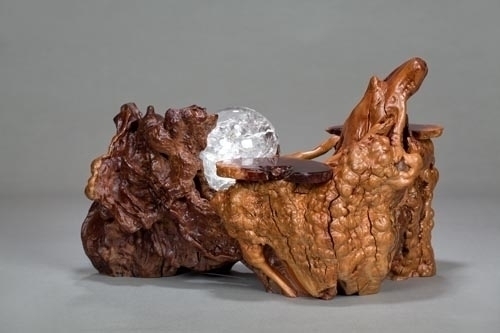 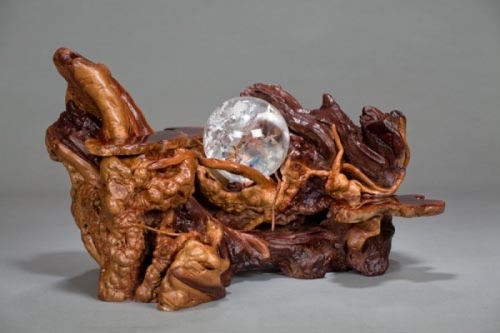 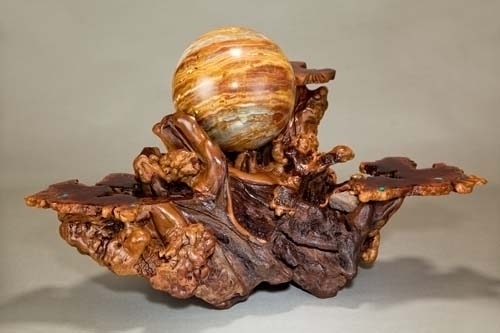 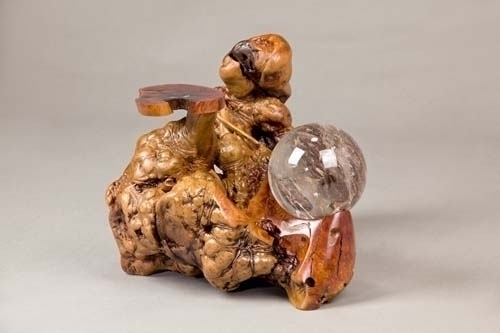 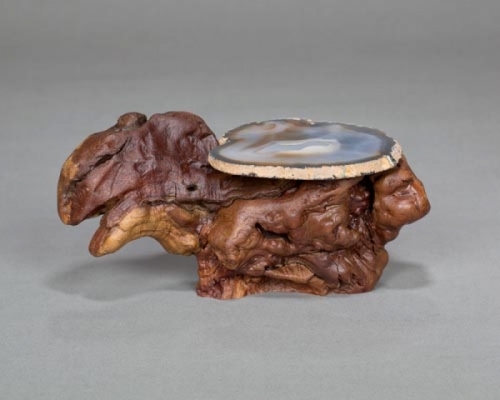 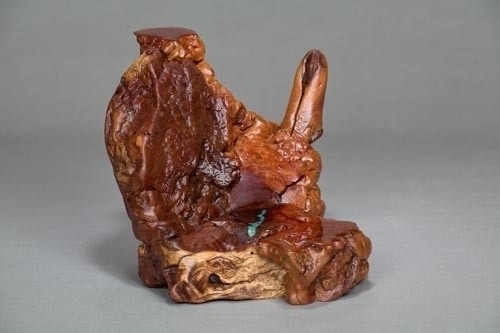 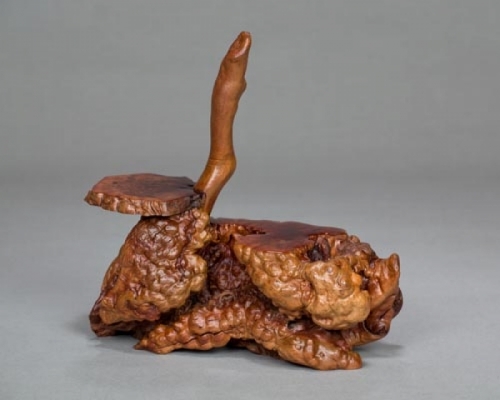 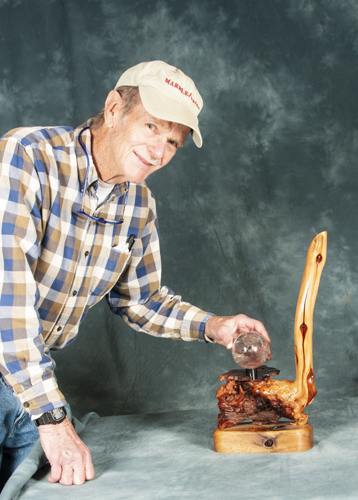 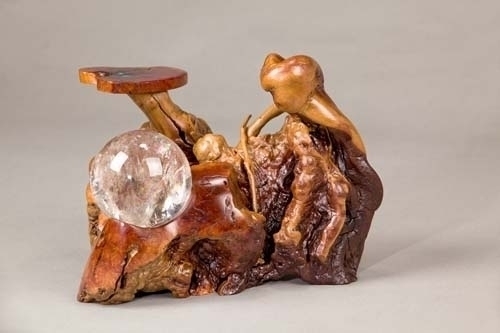 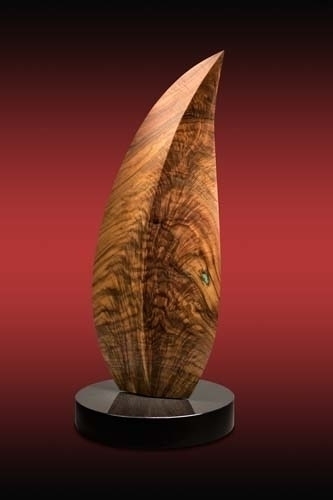 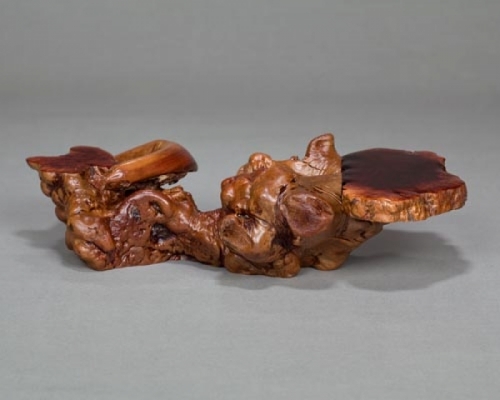 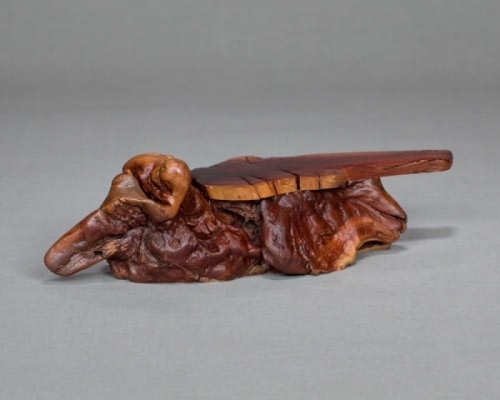 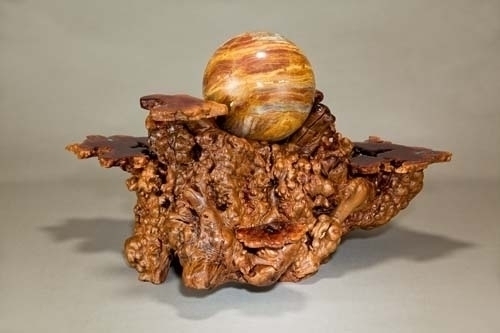 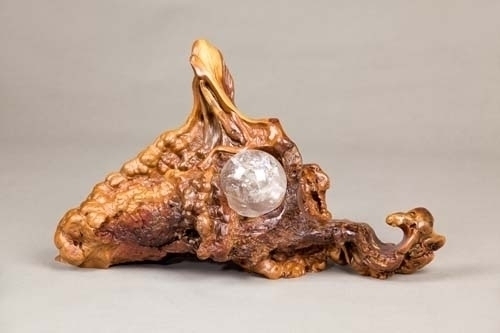 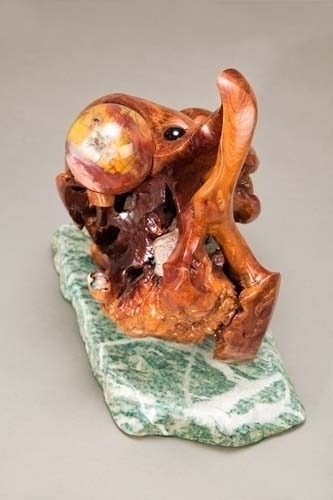 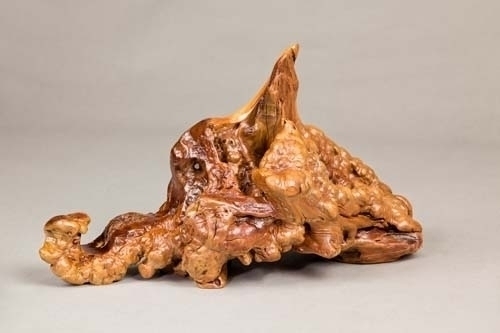 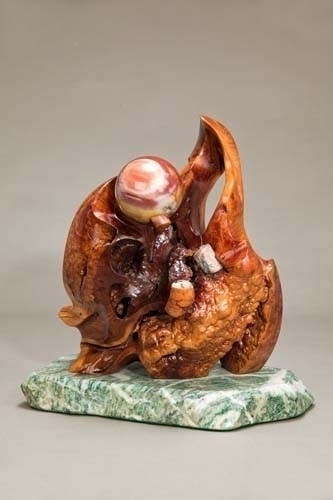 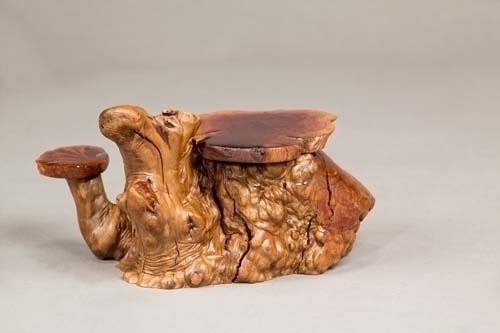 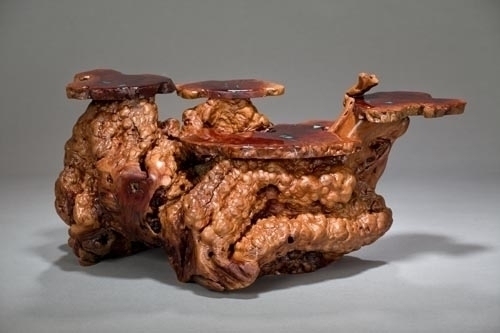 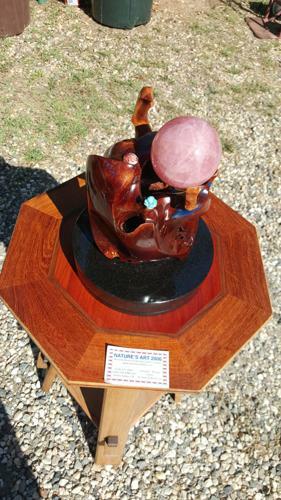 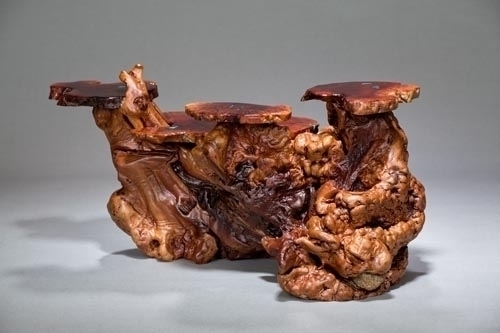 Manzanita Burl Sculpture, with 2.5" Petrified Wood Sphere, mounted on a Mariposite Rock Base.Sculpture has been driled to accommodate lamp conversion. 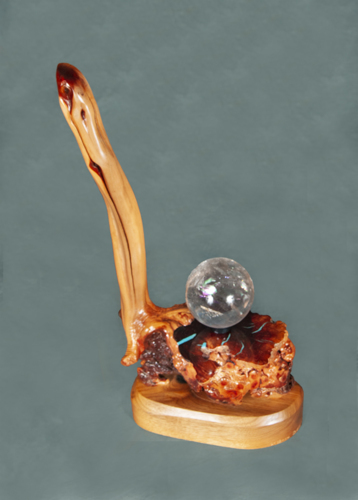 Manzanita Burl with 4 shelfs with turquoise inlay,holding 6" Onyx Sphere. 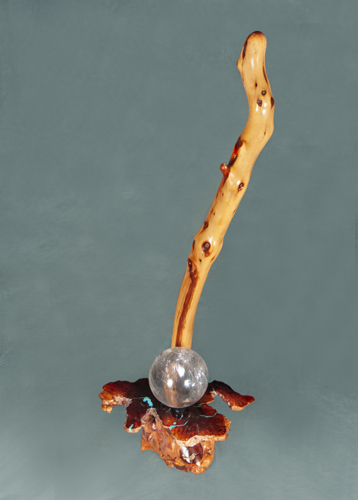 Manzanita Burl 4 shelf with turquoise inly . 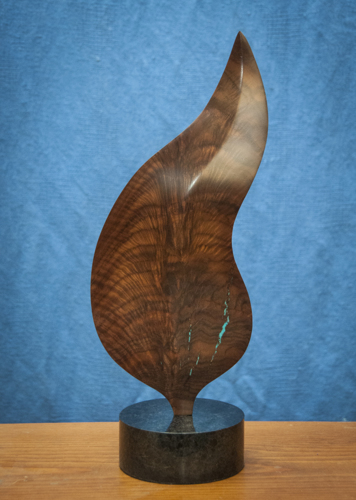 Manzania Burl with 4 shelves with turquoise inlay . 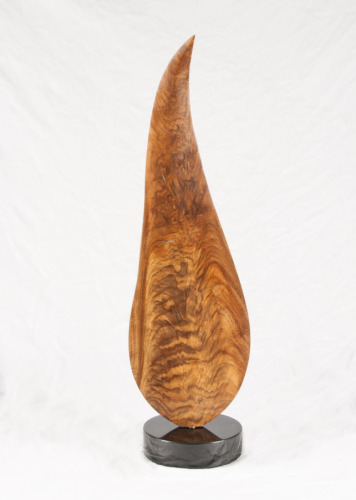 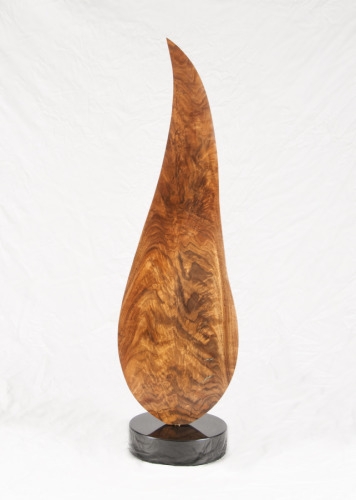 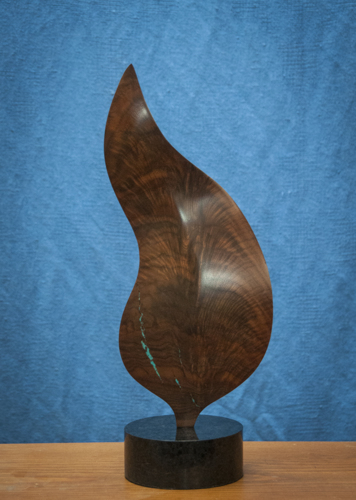 Feather crotch black walnut with turquoise inlay, with turning pin mounted on an eight inch round black marble base. 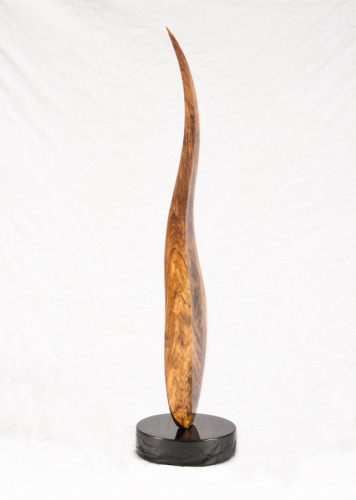 Black Walnut with Feather Crotch grain pattern and turquoise inlay mounted with turning pin on a 2"x4" rd. 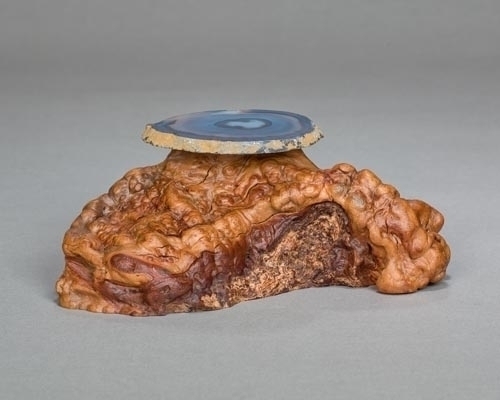 granite base.